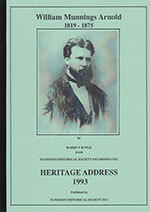 A large number of books published by the Society are available for purchase. 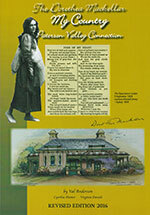 Send a cheque or money order to the Secretary, Paterson Historical Society, PO Box 34, PATERSON NSW 2421. Payment by electronic transfer is also available - email patersonmuseum@gmail.com for details. Postage and handling: add $6.00 per order - multiple items and heavy books $15 per order (heavy books are marked 'H' in the price column). Parcels over 5kg will be split into two posting satchels. Overseas postage will be charged at cost. You can buy our books from Paterson Courthouse Museum which is open on Sundays from 11am to 3pm (not in late December and early January). Also, a selection of our books is stocked by Macdonalds Bookstore in High Street, Maitland. 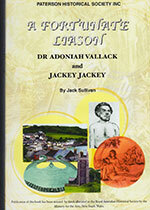 A Fortunate Liaison - Dr Adoniah Vallack and Jacky Jacky, by Jack Sullivan. 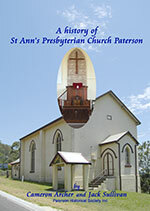 A History of St Ann's Presbyterian Church Paterson, by Cameron Archer and Jack Sullivan. 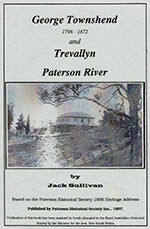 A Synopsis of the History of the Paterson River Valley, by Harry F. Boyle and Val Anderson. 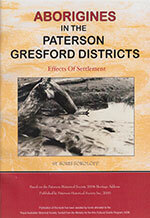 Aborigines in the Paterson Gresford Districts: Effects of Settlement, by Boris Sokoloff. 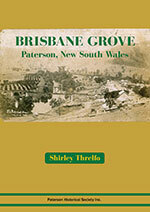 Brisbane Grove - Paterson NSW, by Shirley Threlfo. A history of the property named "Bribane Grove" across the river from Paterson village. 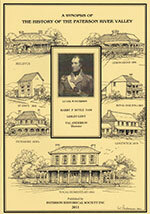 The book covers the operation of the estate through time and the families associated with it, including the Williams, Tucker and Cann families. Includes index, references and family trees. 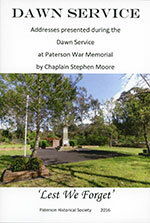 Burials in St. Paul's Church Cemetery, Paterson - Part 1 from 1839 to 1900, by Pauline M Clements. 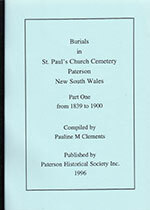 Burials in St. Paul's Church Cemetery, Paterson - Part 2 from 1901 to 1986, by Pauline M Clements. 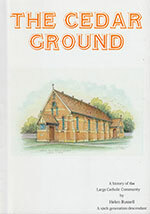 Centenary of St. Columba's Catholic Church, Paterson 1884-1984, by Audrey Bruno. 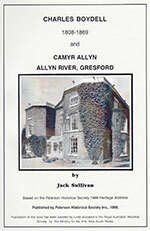 Charles Boydell 1808 - 1869 and Camyr Allyn, Allyn River, Gresford, by Jack Sullivan. Dawn Service, compiled by Kathy Lyall. 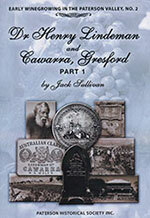 Dr Henry Lindeman and Cawarra, Gresford (Part 1), by Jack Sullivan. 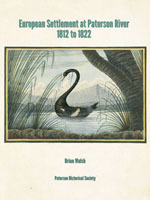 European Settlement at Paterson River 1812 to 1822, by Brian Walsh. 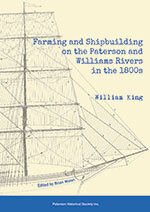 Farming and Shipbuilding on the Paterson and Williams Rivers in the 1800s, by William King (edited by Brian Walsh). George Boyle White 1802-1876, by Harry F Boyle. George Townshend 1798-1872 and Trevallyn, Paterson River, by Jack Sullivan. 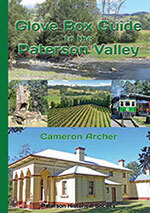 Glove Box Guide to the Paterson Valley, by Cameron Archer. 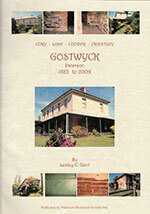 Gostwyck, Paterson 1823-2009, by Lesley Gent. 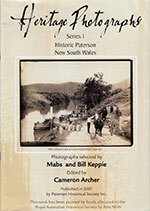 Heritage Photographs, series 1, Historic Paterson, by Cameron Archer (ed.). 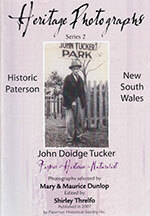 Heritage Photographs, series 2, John Doidge Tucker, by Shirley Threlfo (ed.). 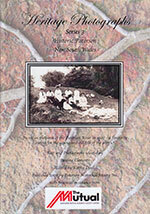 Heritage Photographs, series 3, Historic Paterson, by Kathy Lyall (ed.). Herman Montague Rucker Rupp - The Orchid Man of Paterson, by Val Anderson. 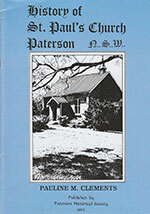 History of St. Paul's Church Paterson N.S.W., by Pauline M Clements. Innovation, Invention and Enterprise: History of Beekeeping in Maitland, by Janece McDonald. 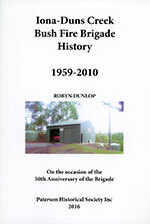 Iona-Duns Creek Bush Fire Brigade History 1959-2010, by Robyn Dunlop. 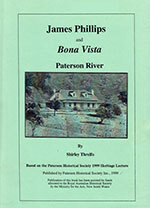 James Phillips and Bona Vista, Paterson River, by Shirley Threlfo. 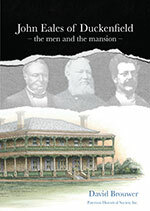 John Eales of Duckenfield - the Men and the Mansion, by David Brouwer. John Herring Boughton of Tillimby, Paterson, by Dulcie Hartley. 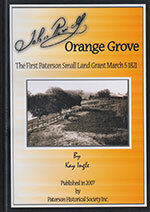 John Powell - Orange Grove - The First Small Paterson Land Grant - March 1821, by Kay Ingle. 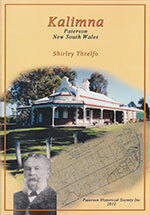 Kalimna, Paterson, by Shirley Threlfo. 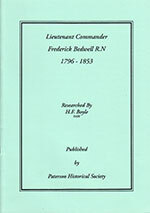 Lieutenant Commander Frederick Bedwell R.N. 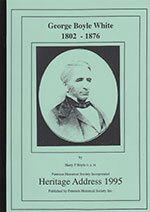 1796 - 1853, by Harry F. Boyle. 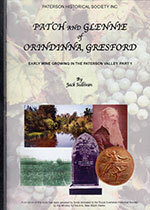 Patch and Glennie of Orindinna, Gresford, by Jack Sullivan. 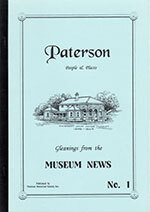 Paterson People and Places - Gleanings from the Museum News No.1, by Shirley Threlfo and Barbara Brown (comp.). 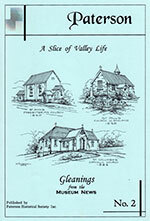 Paterson, a Slice of Valley Life - Gleanings from the Museum News No.2, by Shirley Threlfo and Barbara Brown (comp.). 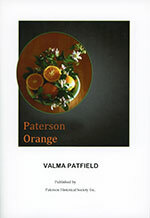 Paterson Orange, by Valma Patfield. 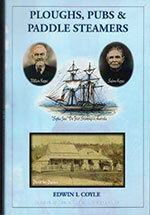 Paterson Public School - Centenary Celebrations 1875-1978, by Pauline Clements (comp.). 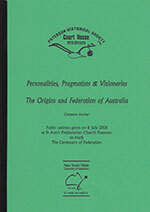 Personalities, Pragmatists and Visionaries - the Origins and Federation of Australia, by Cameron Archer. Ploughs, Pubs and Paddle Steamers, by Edwin L. Coyle. 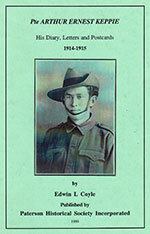 Pte Arthur Ernest Keppie - His Diary, Letters and Postcards 1914-1915, by Edwin L. Coyle. 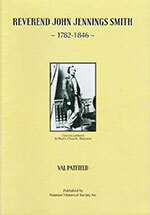 Reverend John Jennings Smith: 1782-1846, by Val Patfield. 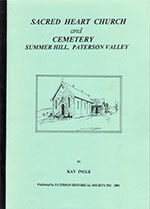 Sacred Heart Church and Cemetery Summer Hill, Paterson Valley, by Kay Ingle. 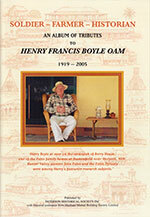 Soldier/Farmer/Historian - an album of tributes to Henry Francis Boyle, OAM 1919-2005. 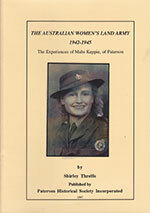 The Australian Women's Land Army 1942-1945: The Experiences of Mabs Keppie, of Paterson, by Shirley Threlfo. The Cedar Ground, by Helen Russell. 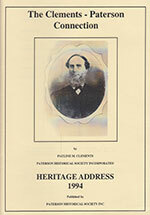 The Clements - Paterson Connection, by Pauline M. Clements. The Dorothea Mackellar-My Country-Paterson Valley Connection, by Val Anderson, Virgina Daniels and Cynthia Hunter. 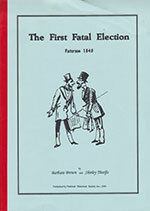 The First Fatal Election, Paterson 1843, by Barbara Brown and Shirley Threlfo. 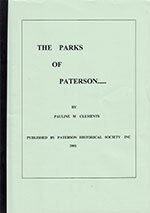 The Parks of Paterson, by Pauline Clements. 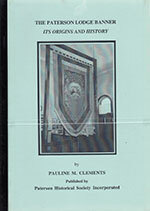 The Paterson Lodge Banner - Its Origins and History, by Pauline M. Clements. 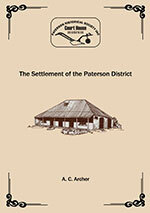 The Settlement of the Paterson District, by Cameron Archer. 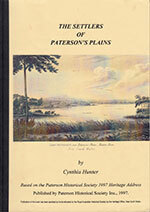 The Settlers of Paterson's Plains, by Cynthia Hunter. 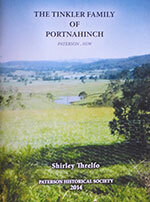 The Tinkler Family of Portnahinch, by Shirley Threlfo. 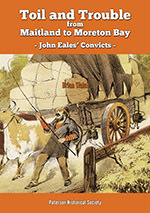 Toil and Trouble from Maitland to Moreton Bay - John Eales' Convicts, by Brian Walsh. 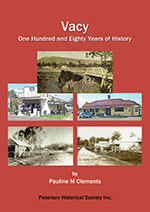 Vacy... One Hundred and Eighty Years of History, by Pauline Clements. 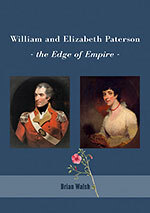 William and Elizabeth Paterson – the Edge of Empire, by Brian Walsh. 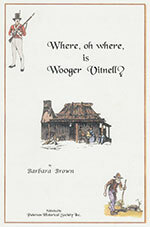 Where, oh where, is Wooger Vitnell? by Barbara Brown. 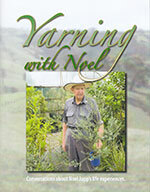 Yarning with Noel - Conversations about Noel Jupp's life experiences, by David Brouwer.